It's a frosty, tasty explosion. As of June 1, the reach of the latest Android OS, Ice Cream Sandwich, has more than doubled in two months time. 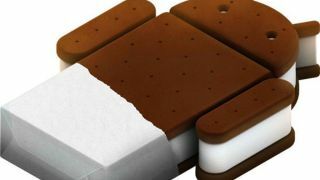 According to a post on Google's Android Developers website, Ice Cream Sandwich (otherwise known as Android 4.0,) runs on 7.9 percent of all Android devices. While Froyo and Eclair (Android 2.2 and 2.1) have lost a few users, ICS devices don't appear to cannibalize sales of other Android devices. In fact, Gingerbread (Android 2.3) actually expanded its user base by 1.3 percent alongside the growth of ICS. These statistics not only confirm the continued expansion of the smartphone and tablet market, but allude to continued dominant footing for Android devices. In 2011, 44 percent of smartphones were running Android and 23 percent were running iOS. If Analysts Ovum is right, the recent uptick in ICS adoption is just the beginning of Android's 24.9 percent market share expansion between 2011 and 2017. Although claims that ICS could run on any smartphone built for Android 2.3 (it can, poorly), the company has been wise to limit the roll-out of Android 4.0 to newer devices with more memory, more feature-oriented hardware, and faster processors. Samsung devices like the Galaxy Note, Galaxy S2 LTE, and the Galaxy Tab (8.9 and 10.1) have all received the creamy OS bump. The Galaxy S3 features ICS right out of the box. HTC has plans to roll-out ICS for the Desire S, Desire HD, EVO 3D, Incredible S, and Sensation XL. Motorola will implement ICS updates for the Xoom, Xoom 2, and the Razr. Sony, LG, Asus, and Viewsonic also intend to bring ICS to their current-gen smartphones. The state of Android is strong, it seems, and getting stronger. For Google, the Android platform, and Ice Cream Sandwich, it's a Breyers market.